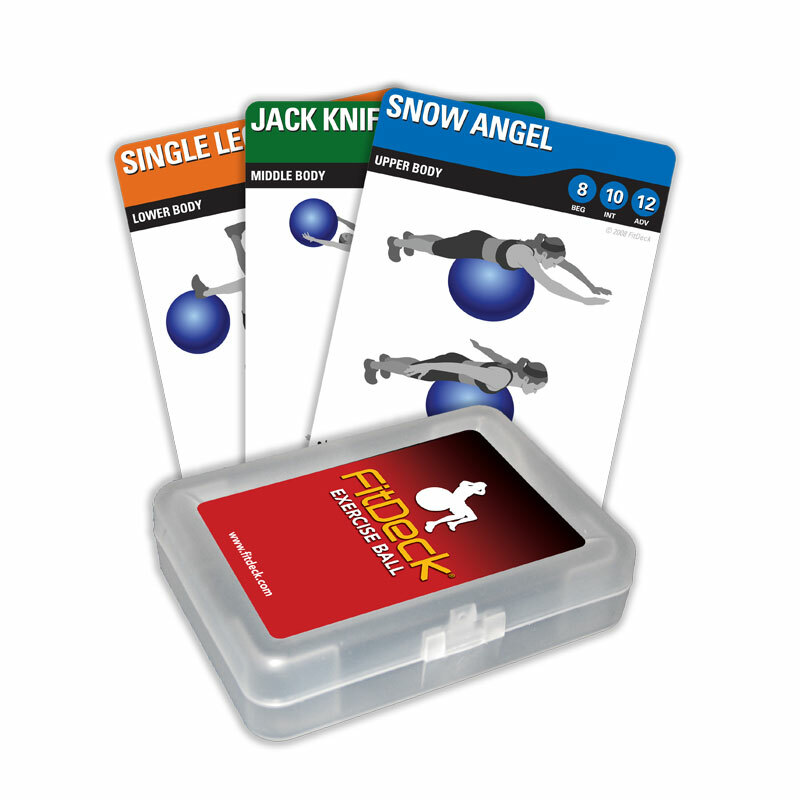 FitDeck ® Exercise Ball help you strengthen and tone entire body. Routines range from warm up activities to challenging strength and endurance workouts. Use as a cross-training tool with other FitDecks. Great at-home workout that can be done in any room, basement, or office. Targeted Users: Men & Women (20-55 years).